Researchers have been investigating the links between coffee and cancer for decades. But there is still a lot they don’t know. In 2016, an expert panel convened by the International Agency for Research on Cancer (IARC) – the arm of the World Health Organization that is responsible for assessing whether certain substances cause cancer – could not conclude that drinking coffee is carcinogenic based on the current evidence available. And now the coffee-cancer connection is in the news again. A California court ruling last week about a coffee warning related to a chemical formed during the roasting process (called acrylamide) has raised questions among consumers. So, what do coffee drinkers need to know? In this interview, American Cancer Society researchers, Susan Gapstur, PhD, and Marjorie McCullough, ScD, provide insights into what studies to date really show when it comes to coffee and cancer, and discuss what other research is still needed. Q. What does the research show about the link between coffee and cancer? A. Numerous studies have shown that coffee drinking is associated with a lower risk of dying from all causes of death. However, associations with cancer overall or with specific types of cancer are unclear. In 2016, an expert working group convened for the International Agency for Research on Cancer Monographs Programme reviewed the world’s body of human and laboratory research on coffee drinking and cancer risk, and they found the evidence of carcinogenicity of coffee drinking to be “unclassifiable”. They also found that coffee drinking is not a cause of female breast, pancreas, and prostate cancers, but may reduce the risk of uterine endometrium and liver cancers. The evidence was judged to be inadequate for other cancer types. Reasons for the lack of convincing evidence included inconsistent results across studies and issues with data quality. Q. And, what about research into whether coffee is associated with a lower cancer risk? A. Recent studies find that coffee may lower the risk of several types of cancer, including head and neck, colorectal, breast, and liver cancer, although the potential beneficial effects of coffee are not completely understood. Hundreds of biologically active compounds including caffeine, flavonoids, lignans, and other polyphenols are found in roasted coffee. 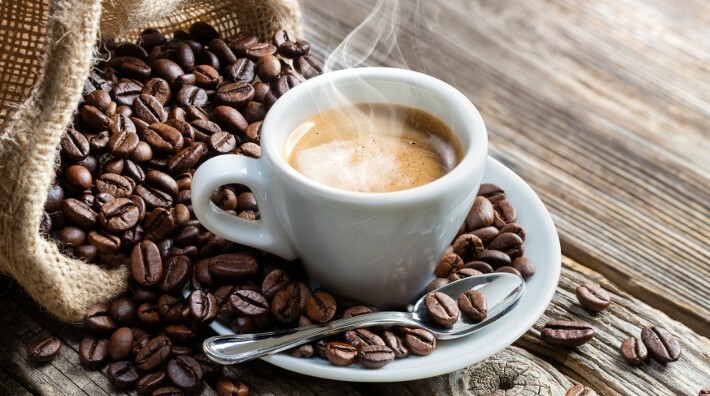 These and other coffee compounds have been shown to increase energy expenditure, inhibit cellular damage, regulate genes involved in DNA repair, have anti-inflammatory properties and/or inhibit metastasis, among other activities. There is also evidence that coffee consumption is associated with lower risk of insulin resistance and type 2 diabetes, which have been linked to higher risks of colorectal, liver, breast and endometrial cancer incidence and/or mortality. Q. What is acrylamide and what do we know about its link to cancer? A. Coffee can contain acrylamide, a chemical that is also used in certain industrial processes and has been commercially available since the 1950s. In addition to coffee, acrylamide is also found in French fries (frying causes acrylamide formation), toasted bread, snack foods, like potato chips and pretzels, crackers, biscuits, cookies and cereals, and in tobacco products. Acrylamide is classified by IARC as a “probable carcinogen,” based primarily on genotoxicity experiments in animals. In 2002, Swedish scientists discovered that acrylamide could be formed from asparagine (an amino acid) and sugar during high-heat cooking. This discovery led to intensified research into the association between acrylamide intake from diet and cancer risk in humans. In 2011 and 2014, two large studies summarized the evidence in humans and found no association between dietary acrylamide and risk of several cancers. Q. What is the bottom line when it comes to coffee – should people be worried about drinking it? A. Overall, it seems that there may be health benefits to coffee drinking, but the risks remain unclear. Further research is needed to more fully understand the biologic mechanisms underlying associations of coffee drinking, acrylamide exposure, and cancer risk. Regardless, when considering behavioral approaches to reduce cancer risk, it is worth keeping in mind that preventing smoking initiation and improving smoking cessation rates remain the most important ways to reduce cancer mortality rates worldwide. After smoking, we also know that certain healthy lifestyle habits can significantly minimize cancer risk: these include limiting alcohol consumption, maintaining a healthy body weight throughout adulthood, being physically active, and consuming a mostly plant-based diet. If you are concerned about acrylamide exposure, you may also consider limiting intake of French fries, chips, and cookies, which is consistent with the American Cancer Society’s dietary guidelines.